We each spend upwards of 12 full days per year with our eyes glued to our Facebook feeds. While that sounds like the exact opposite of healthy, a new study published in PNAS on Monday suggests that actively cultivating relationships on Facebook may actually help you live longer. Before you get too excited, this doesn't mean your doctor's going to recommend upping the amount of time you spend mindlessly scrolling through your News Feed or Facebook stalking your exes. The study essentially confirms what dozens of other studies have suggested for years: An active social life is good for your overall health and longevity. What's significant is that now, those benefits can extend into your digital life as well. The research was conducted using the profiles of 12 million users between the ages of 27 and 71 (made available by Facebook) and vital records provided by the California Department of Health. 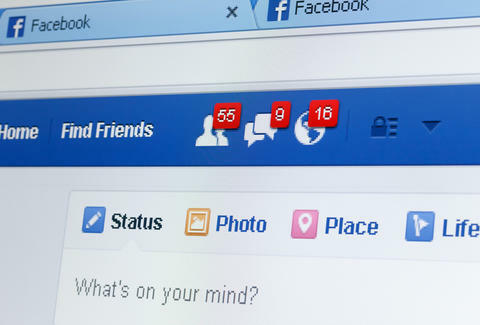 Users with average-to-larger networks of Facebook friends had a lower mortality rate, as did users who used the site "moderately." Facebook activities implying that users interacted with their Facebook friends in real life (like posting and tagging friends in photos) were also associated with lower mortality, while more passive, online-only interactions (like sending messages or liking posts) had no effect. Similarly, receiving a lot of friend requests was associated with living longer -- but sending out friend requests was not. Clearly, it's not just Facebook itself that's making people live longer. Meeting new people in real life (who subsequently add you as a Facebook friend) and actively maintaining your friendships (face-to-face and online) is the key here. The study's methods were approved by several university and state review boards, but it should be noted that at least two of its authors have close ties to Facebook. One worked there as a research intern in 2013, and another is currently employed in its research science department. Unsurprisingly, the study's authors remain adamant that Facebook had no influence over the results. Bottom line? Keep your good friends close, y'all. Joe McGauley is a senior writer for Thrillist and would rather be your friend IRL.